If the term “root canal” makes you hear dramatic, horror movie music in your head, you probably don’t know a lot about this dental treatment. If your dentist recommends that you have one, or if you have an aching tooth and need to get it taken care of soon, doing a bit of research about your possible upcoming root canal in West Monroe can put your mind at ease. Here are some key facts you should know about this tooth-saving procedure. Perhaps the biggest reason why people are afraid of root canal therapy is because they don’t want to go through pain. It’s a common misconception that this treatment leaves people in agony. In fact, thanks to modern dental techniques, you probably won’t feel anything during the procedure. It’s possible that your mouth will experience some soreness afterward, but it won’t be anything major. You should be able to manage your discomfort with mild painkillers and a bit of rest and relaxation. In the past, it used to be standard practice for dentists to break up root canals into two separate appointments. The first appointment was for cleaning out the infected area of the tooth, and the second appointment (usually about a week later) was for filling the tooth and sealing it. Nowadays, most root canals can be performed during a single appointment. The amount of time you’ll have to spend in the offers will depend on the extent of your treatment, but it’s unlikely that you’ll be there for more than a couple of hours. Every dentist has a different level of experience and different viewpoints on what’s best for a patient. Therefore, it never hurts to get a second opinion. For example, one dentist might suggest that you get your tooth extracted. An extraction might be a bit simpler than a root canal, but it means you have to sacrifice a tooth. Asking another dentist if there is any way to save your poor pearly white is a wise idea. Also, while a crown is often necessary to protect a tooth after a root canal, that isn’t always the case. Your tooth might still be strong enough after the procedure to hold its own. Be sure to ask about this when you’re talking to your dentist about your treatment. 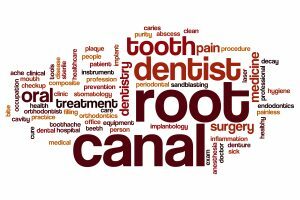 Need a root canal in West Monroe? We hope your procedure goes off without a hitch! Dr. L. King Scott is proud to be your local, skilled dentist. If you suspect you could benefit from a root canal, he would be happy to take a look at your tooth and provide the treatment you need. You can contact our office at 318-325-4600.